What GitLab Triggers and Actions are Supported? New Commit - Trigger when a commit is made on the specified project. New Issue Event - Triggers on issue events, e.g. when an issue is opened, updated, or closed. New Merge Request Event - Triggers on an open, merge, or close merge request event. Create Issue - Creates a new issue. 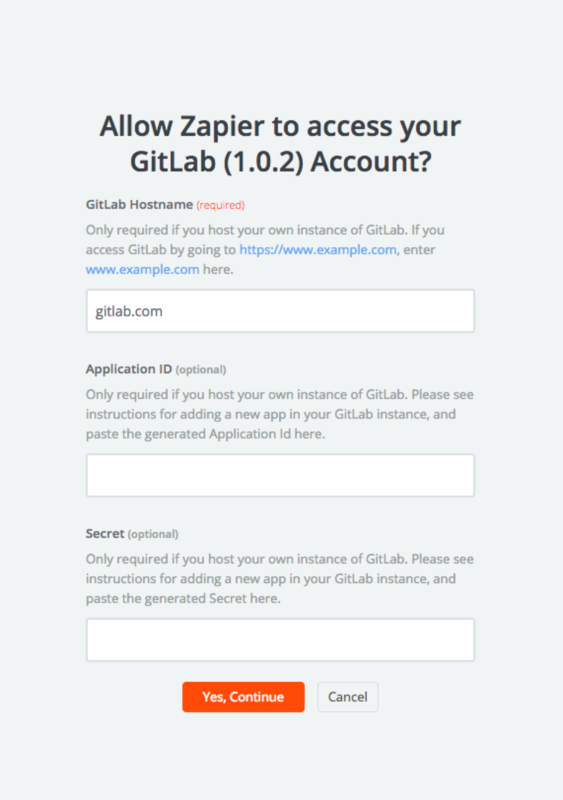 To get started with GitLab on Zapier, first you will need to click to connect your GitLab account to use with your Zap. You'll be asked for connection details about your GitLab instance. If you use GitLab.com you don't need to do anything but click 'Yes, Continue'. Note that your connected account will require "Master" permissions, as the app uses web hooks and thus needs the "Configure project hooks" privilege. See GitLab's docs for details. Enter "Zapier" as an application name. 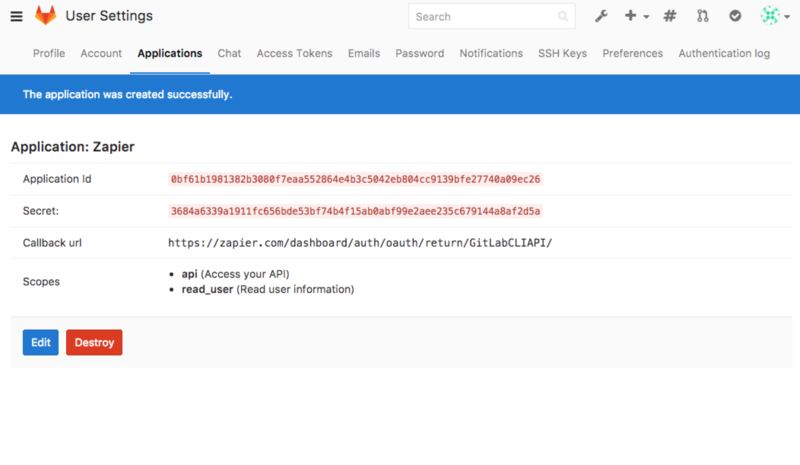 Enter https://zapier.com/dashboard/auth/oauth/return/GitLabCLIAPI/ in the "Redirect URI" field, making sure to include the trailing slash. Be sure to select the checkboxes for "api" and "read_user" under "scopes". When you're done, click "Save application". You should see a page like the following. 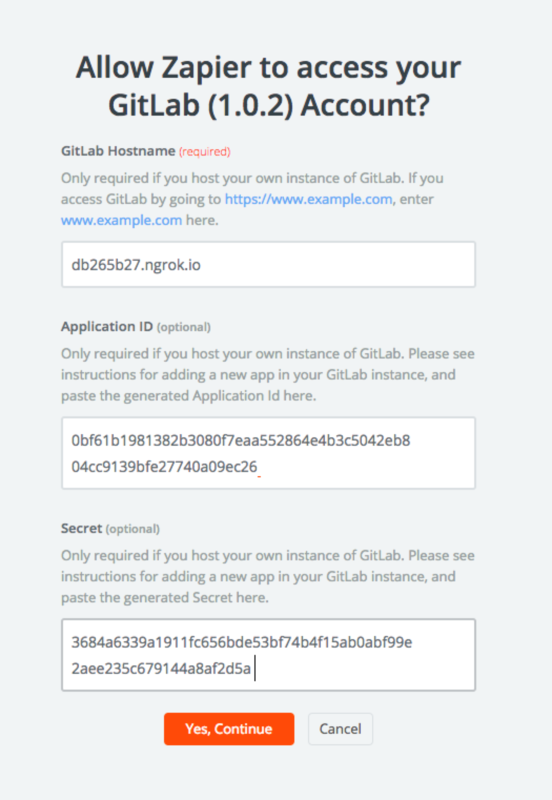 Now you have all the info you need to connect your GitLab account to Zapier. Keep this it open so you can cut and paste the values into your Zap connection setup. 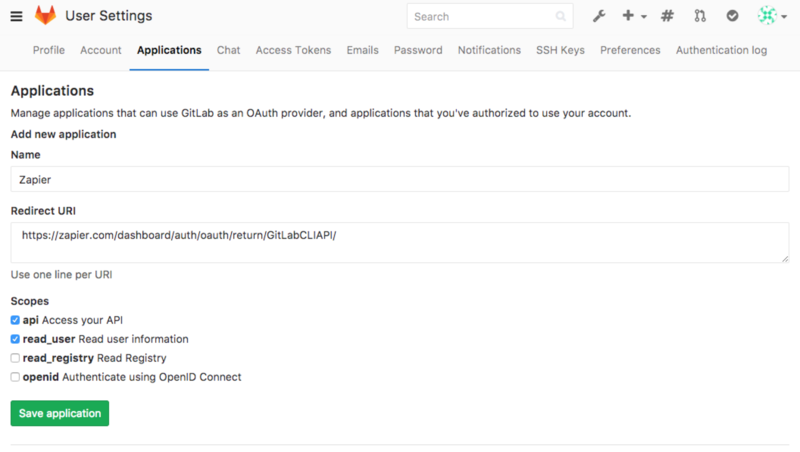 In the 'Application ID' field, cut and paste the 'Application id' value from the GitLab Application setup page. In the 'Secret' field, cut and paste the 'Secret' value from the GitLab Application setup page. 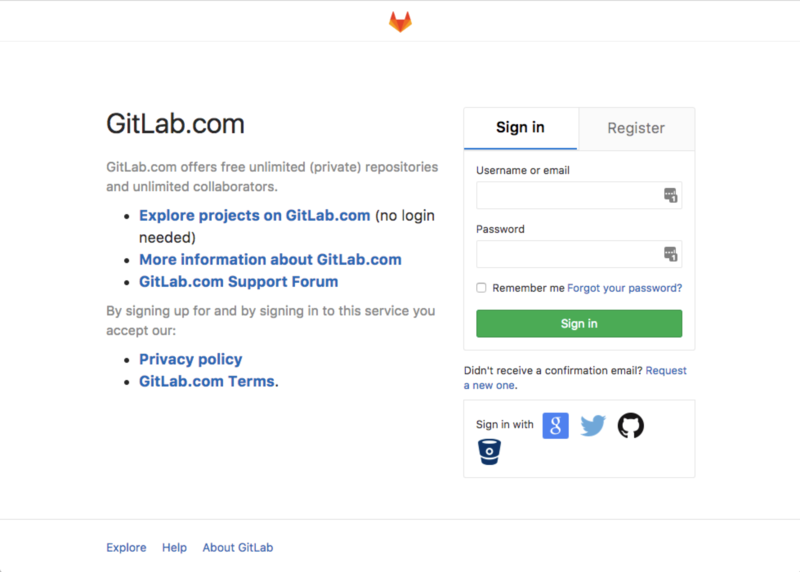 You’ll now be asked to log into your GitLab account (unless you are already logged in). 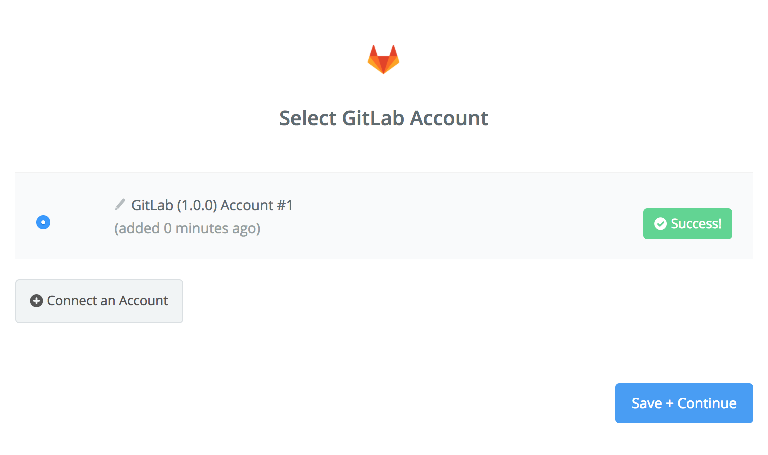 If all steps were successful your GitLab account will now be successfully connected. Please ensure that the account you've connected to your Zap has Master permission on the projects you wish to use with your Zap.